Recent days, Amazon, The worlds largest online dealer officially declarers their plan to use unmanned drones to deliver their customers orders Hence you will get your orders within 30 minutes. Chief Executive Jeff Bezones says. The drones called Octocopters is designed to carry 2.3 kg. because 86% of Amazon orders are below 2.3 kg. This service could start within 5 years. They said. But still The US aviation federation not approved unmanned drones for civilian purpose. In US, currently the drones are only used for Military and Govt.. purposes. 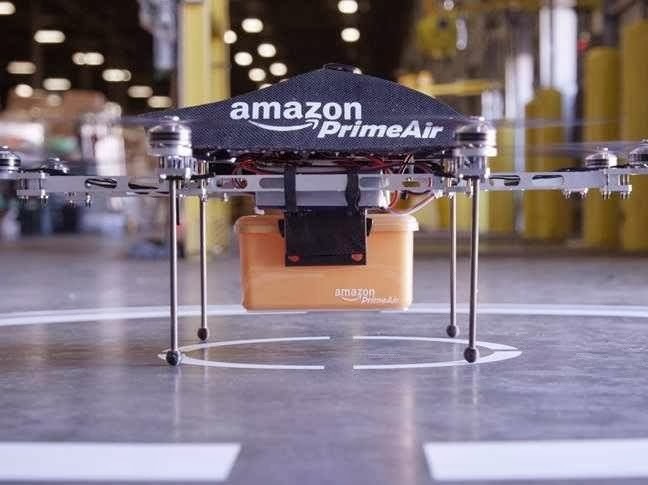 The service will be called Prime Air and It will be a key feature of Amazon. Amazon Also put a video as demo of Amazon Prime on their official website . The American Aviation authorities and Amazon working very hard to make this service in reality.